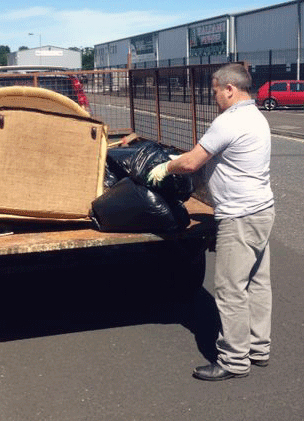 House clearance service in County Antrim, Northern Ireland BMC HOUSE & COMMERCIAL CLEARANCE provides a house clearance service in County Antrim, County Down and most other parts of Northern Ireland, with many years experience we are well equipped to take care of your clearance needs. We clear everything, including rubbish. We don't just do domestic house clearances, we have carried out clearance work for businesses, landlords, and solicitors. We price jobs fairly, taking into account any resale value of items cleared. We pay cash for good quality furniture and suites.